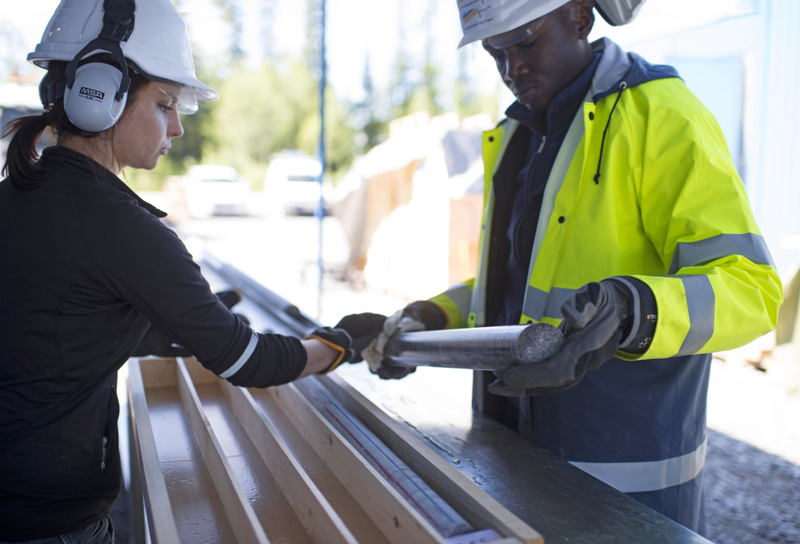 A deep hole drilling project in the mountains of northern Sweden may help to unlock some of the Earth’s best kept secrets. The project, launched by the Swedish University of Lund and involving 50 scientists from 14 countries, is expected to enhance global knowledge of the forces at work as the planet evolved over 400 million years. The researchers have been using a specially designed Christensen CT20C core drill rig from Atlas Copco to gather information from 2 500 meters (2 495.8 m to be precise) down in the Earth’s crust. The site was at Fröa, a small mountain community not far from the skiing resort of Åre, some 600 km north of Stockholm. Due to its geological history, this is one of the few areas in the world where research of this nature can be carried out. Using the Christensen CT20C rig, a team spent four months, from April to August this year, collecting core samples. Working two shifts per day, six days a week, they took a total of 18 tonnes of cores, 46.7 mm in diameter, from the 75.8 mm diameter drill hole. These cores are currently being examinedby geoscientists in Berlin, Germany. The international investigation aims to establish the various processes and changes that have taken place at this depth in the rock over million of years. The investigation focuses on tectonics, geophysics, geothermal activity, hydrogeology and the deep biosphere. But one of the more exciting aspects being undertaken by microbiologists is to identify microbes and bacterias – in short to find out what kind of life exits 2.5 km below the surface.“This is an amazing project and there are many different areas of investigation underway that can make a significant contribution to our understanding of these processes,” says Henning Lorenz, from the university’s Department of Engineering Geology. Jan-Erik Rosberg, Project Director, says the researchers chose the Christensen CT20C primarily because of its ability to enable drilling at great depth. Not only that, it can drill a hole 2.5 km deep while mounted on tracks or on a truck which has allowed the team to test and develop new drilling technologies and tools.